Music: "Forest Green" by Ralph Vaughn Williams in The English Hymnal (1906), page 24. Editor's Note: The following commentary is by Louis F. Benson from Studies Of Familiar Hymns, First Series (Philadelphia: The Westminster Press. 1924). At the end of his commentary, Rev. Benson offers "some points for discussion." Please consider these questions as those posed for your own consideration, or for discussion with friends or members of your congregation. Due to lengthy illness, I regret that I am not able to respond to your thoughts or questions. Right: Phillips Brooks at age 22. Note [from Rev. Benson]: Four verses of the five as originally written (see under “Some Points for Discussion"). This text agrees with the author's manuscript. The text issued by Bishop Brooks' publishers in an “illuminated” style was inaccurate. Note From Editor: Rev. Benson is referring to Christmas Songs and Easter Carols published by E. P. Dutton & Co. in 1903. In that version there was a different second verse beginning "O morning stars, together." The "omitted verse" begins "Where children pure and happy." It is found below. It was the sight of Bethlehem itself, one feels very sure, that gave Phillips Brooks the impulse to write this hymn. He was then rector of the Church of the Holy Trinity, in Philadelphia, and had spent a year’s vacation traveling in Europe and the East. “After an early dinner, we took our horses and rode to Bethlehem,” so he wrote home in Christmas week of 1865. “It was only about two hours when we came to the town, situated on an eastern ridge of a range of hills, surrounded by its terraced gardens. It is a good-looking town, better built than any other we have seen in Palestine. . . . Before dark, we rode out of town to the field where they say the shepherds saw the star. It is a fenced piece of ground with a cave in it (all the Holy Places are caves here), in which, strangely enough, they put the shepherds. The story is absurd, but somewhere in those fields we rode through the shepherds must have been. . . . As we passed, the shepherds were still “keeping watch over their flocks or leading them home to fold.” Mr. Brooks returned in September, 1866, and it must have been while meditating at home over what he had seen that the carol took shape in his mind. The late Dr. Arthur Brooks assured the writer that it was not written until 1868. In the programme of the Christmas service of the Sunday-school of the Church of the Holy Trinity in that year the carol was first printed, and it was sung to the music written for it by Mr. Lewis H. Redner. Its history as a hymn begins then, and a considerable share of the credit for its popularity must be given to Mr. Redner, at that time organist of the church, superintendent of its mission, and teacher in the church school. The place of the carol in the books is now established, and new tunes have been and will be written for it. But it is safe to say that Mr. Redner’s music was what carried the carol into notice and popularity. 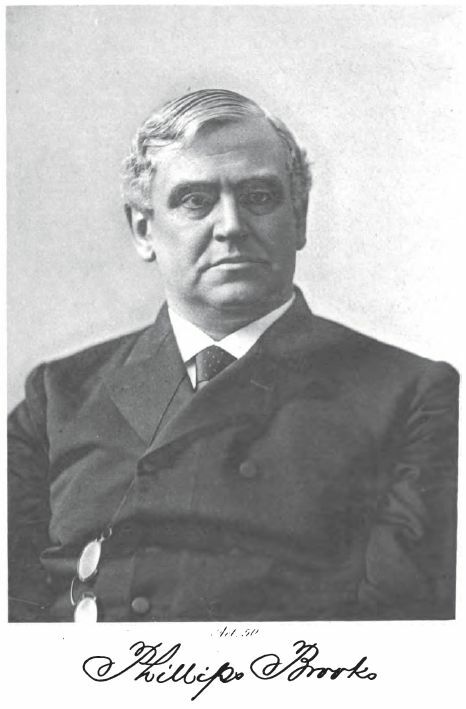 If the tune to which it was sung at that service had been unsuccessful, it is unlikely that the carol would have been reprinted or heard again, at least during Bishop Brooks’s life. “As Christmas of 1868 approached, Mr. Brooks told me that he had written a simple little carol for the Christmas Sunday-school service, and he asked me to write the tune to it. The simple music was written in great haste and under great pressure. We were to practice it on the following Sunday. Mr. Brooks came to me on Friday, and said, ‘Redner, have you ground out that music yet to “O Little Town of Bethlehem”?’ I replied, ‘No,’ but that he should have it by Sunday. On the Saturday night previous my brain was all confused about the tune. I thought more about my Sunday-school lesson than I did about the music. But I was roused from sleep late in the night hearing an angel-strain whispering in my ear, and seizing a piece of music paper I jotted down the treble of the tune as we now have it, and on Sunday morning before going to church I filled in the harmony. Neither Mr. Brooks nor I ever thought the carol or the music to it would live beyond that Christmas of 1868. The date of Dr. Huntington’s book, 1874, does not imply a very prompt recognition of the merits of the carol even as available for use in the Sunday-school. Nor does its appearance in that book imply that the carol passed at that date into general use in Sunday-schools. But gradually it became familiar in those connected with the Protestant Episcopal Church. By the year 1890 it had begun to make its appearance in hymnals intended for use in church worship. In 1892 (some twenty-four years after its first appearance) Bishop Brooks’s carol was given a place as a church hymn in the official hymnal of his own denomination. This occasioned the composition of new tunes to its words for rival musical editions of that book, and also drew attention afresh to the earlier tune of Mr. Redner. It seems, too, to have settled the status of the hymn, recent editors being as reluctant to omit the hymn as their predecessors had been to recognize it. There is, however, nothing unusual or surprising in this delay in admitting the carol into the church hymnals. Almost all hymns undergo such a period of probation before they attain recognition; and it is for the best interests of hymnody that they should. In this particular case there was an especial reason for delay. There had to be a certain change in the standards by which hymns are judged before a carol such as this could be esteemed suitable for church use. In 1868, it is likely, not even its author would have seriously considered it in such a connection. Phillips Brooks was born in Boston, December 13th, 1835. He came of a long line of Puritan ancestors, many of whom had been Congregational clergymen. His parents became connected with the Episcopal Church, and he was reared in the strict ways of the Evangelical wing of that Church. 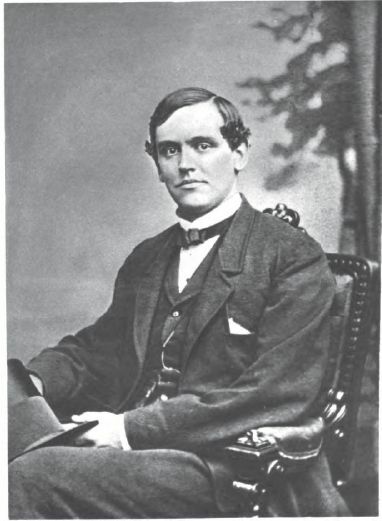 He had the typical Boston education, the Latin School and then Harvard, from which he was graduated in 1855. He was then for a few months a teacher in the Latin School, but there he had the humiliating experience of complete failure. He soon decided to enter the ministry, and studied at Alexandria Seminary, in Virginia. In 1859 he became rector of a small church in Philadelphia. Here his sermons attracted much attention, and in 1861 he was called to be rector of the Church of the Holy Trinity, in the same city. In that position he remained until 1869, when his own leanings toward his native town and the urgency of repeated calls from there led him to accept the rectorship of Trinity Church, Boston. The congregation built for him the great church in the Back Bay, and there he exercised that wonderful ministry with which we all are familiar. In 1891 he was elected bishop of his Church in Massachusetts, and after some controversy, occasioned by his broad views in church matters, his election was confirmed and he was consecrated. But this position he was not to fill for long. The strain of the great work he had been doing had undermined even his giant strength, and after a short sickness he passed away on January 23rd, 1893 [at age 58 years]. Left: Phillips Brooks at age 50. Bishop Brooks was the most famous preacher and the most widely-loved clergyman of his time. The shock of his death was felt in every branch of the Church throughout the land, for while many disagreed with his opinions, none who knew him in his work could withhold their admiration. The word that seems best to describe him is “great.” - He was great in his physical proportions, great in the endowments of genius, great in the power to work, extraordinarily great in his personal influence over men, greatest of all in the moral elevation of his character and his ever-deepening spirit of consecration to Christ’s service. The connection of one so great with hymnody as the writer of a few simple carols intended for children seems at first a little incongruous. But after reading his biography, and understanding the man’s nature, one feels rather that nothing he ever did was more characteristic of him. It now appears that verse-writing was even a regular habit with him, probably as a relief to feelings his intensely reserved nature could express in no other way. And he not only loved children dearly, but liked to be their comrade and to get down on the nursery floor and romp with them. His own heart was like a child’s, and he wrote Christmas and Easter carols because he entered into those festivals with a child’s enthusiasm and joy. But there is another point of connection between Bishop Brooks and hymnody which must not be passed over. Its disclosure was to many one of the surprises of that wonderful biography of his friend by Dr. Allen. And that connection is in the fact that his own mind and heart were stored with hymns, to such an extent and in such a way that they were one of the real influences of his life. (2) In the original manuscript of the carol there was a fourth verse not used in the hymn books. Its form as first written appears in the facsimile. Mr. Redner writes: “The fourth line led to some amusing criticism lest it should smack of the doctrine of the Immaculate Conception. Brooks then changed that line to ‘Son of the Mother mild,’ (and so it appears in the Christmas programme of 1868), but he afterwards decided to omit the fourth verse altogether from the carol.” Is it worth while to restore the omitted verse? (3) The form of the carol is somewhat unusual for a hymn. It is not (until the last verse) an offering of direct praise or prayer to God, but is rather a meditation in which the singer addresses the little town itself. Some hymnologists on that account question the propriety of giving it a place among the hymns of the Church. Is the carol really wanting in the form proper for a hymn? and if so, how far is its defect overcome by deeper qualities that mark it as a hymn rather than a ballad? (4) The irregularities of the metre offer an interesting study. The general scheme is that called “common metre,” a line of four accents alternating with one of three. This was the usual metre of the old English ballads; and it looks as though Mr. Brooks had been studying the balladists, who had a way of dropping out an accented syllable here and there, and of breaking an occasional line into two by putting an additional rhyme into the middle of it. Do not these irregularities add to the charm? Are met in thee to-night”? The "omitted verse" mentioned by Rev. Benson, above, occurs in The English Hymnal (1906), Songs of Praise (1925), and The Oxford Book of Carols (1928), with the amended fourth line. Percy Dearmer and Ralph Vaughan Williams were principal editors, among others, in all three volumes. My energetic letter-writing has paused for a week. It take it up again to tell you of my tours around Jerusalem. Last Sunday morning we attended service in the English church, and after an early dinner took our horses and rode to Bethlehem. It was only about two hours when we came to the town, situated on an eastern ridge of a range of hills, surrounded by its terraced gardens. It is a good-looking town, better built than any other we have seen in Palestine. The great church of the Nativity is its most prominent object; it is shared by the Greeks, Latins, and Armenians, and each church has a convent attached to it. We were hospitably received in the Greek convent, and furnished with a room. Before dark, we rode out of town to the field where they say the shepherds saw the star. It is a fenced piece of ground with a cave in it (all the Holy Places are caves here), in which, strangely enough, they put the shepherds. The story is absurd, but somewhere in those fields we rode through the shepherds must have been, and in the same fields the story of Ruth and Boaz must belong. As we passed, the shepherds were still "keeping watch over their flocks," or leading them home to fold. We returned to the convent and waited for the service, which began about ten o'clock and lasted until three (Christmas). It was the old story of a Romish service, with all its mummery, and tired us out. They wound up with a wax baby, carried in procession, and at last laid in the traditional manger, in a grotto under the church. The most interesting part was the crowd of pilgrims, with their simple faith and eagerness to share in the ceremonial. We went to bed very tired. "O Little Town Of Bethlehem" was not the only collaboration between Bishop Brooks and Mr. Redner. They also worked together on the carol Everywhere, Everywhere, Christmas Tonight. Mr. Redner supported himself as a real estate agent. See: The Voice Of The Christ Child. A fifth Christmas carol by Rev. Brooks is The Sky Can Still Remember. All five are contained in Brooks, Christmas Songs and Easter Carols (1903). This volume contains text only. There is no music or history of these songs or carols. I have been unable to locate any additional details about these songs or carols in the Life and Letters of Phillips Brooks, the Letters of Travel by Phillips Brooks, or any other source except those noted. Ron Clancy, author of the Christmas Classics series of Christmas carol books, has now created a number of "The Story Behind The Music" YouTube™ videos recounting the histories of several Christmas carols. Three were released in late July 2009, including O Little Town of Bethlehem. And Christmas comes once more.'" Alexander V. G. Allen, Life and Letters of Phillips Brooks, Three Volumes. New York: E. P. Dutton And Company, 1900, 1901. Alexander V. G. Allen, Phillips Brooks: 1835-1896 - Memories of His Life With Extracts From His Letters and Note-Books. New York: E. P. Dutton & Company, 1907. M. F. B., ed., Letters of Travel by Phillips Brooks. New York: E. P. Dutton And Company, 1894. Phillips Brooks, Christmas Songs and Easter Carols (New York: E. P. Dutton & Co., 1903). Text only; no music. Percy Dearmer, et. al., eds., The Oxford Book of Carols. Oxford: Oxford University Press, 1928. Robert Joseph, The Christmas Book. New York: McAfee Books, 1978. Keyte and Parrott, eds., The New Oxford Book of Carols. Oxford: Oxford University Press, 1992. Elizabeth Poston, The Penguin Book of Christmas Carols . London: Penguin, 1965. William L. Simon, ed., The Reader's Digest Merry Christmas Songbook. Pleasantville, NY: Readers Digest Association, revised 2003. William Studwell, The Christmas Carol Reader. New York: Harrington Park Press, 1995.